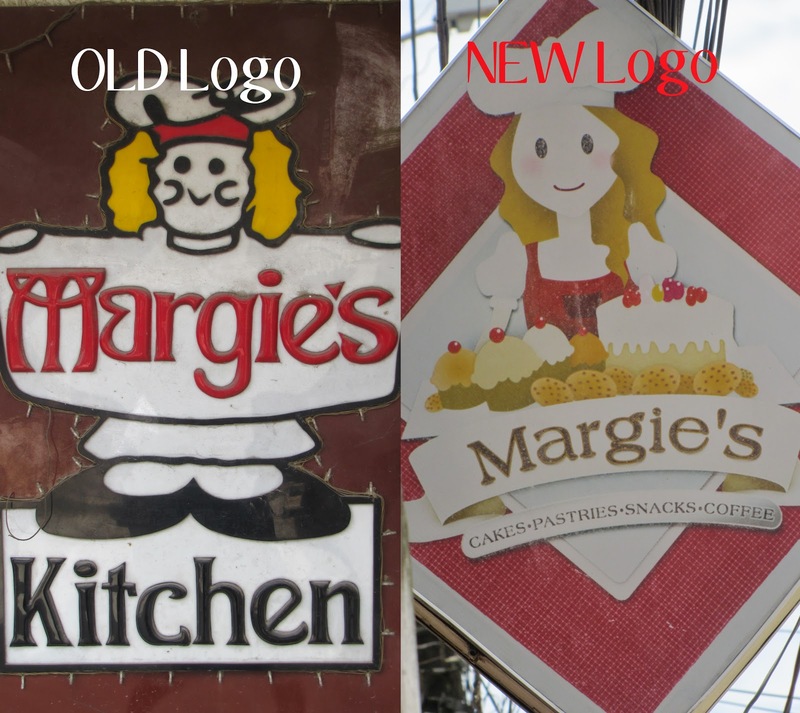 Margie's Kitchen has been part of every Butuanons life for years now. 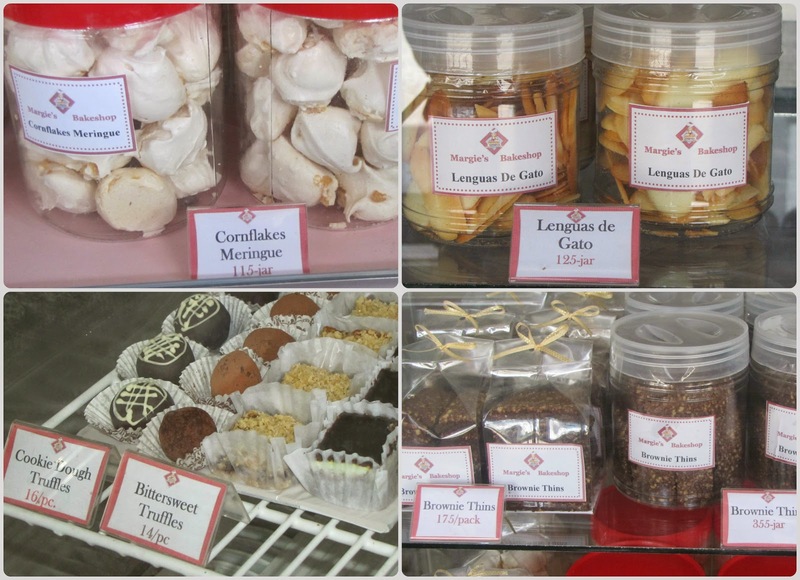 Margie's boasts in quality pastry goods at a very competitive price. Meeting the demands of local patrons and tourists alike is no easy feat. The vision is to build a strong market position in Mindanao and hopefully all over key cities in the Philippines; they finally took the huge leap and ventured out in the Davao with their four branches. I was ambivalent seeing the new logo when I reached the main branch. Had I been away too long? Times are changing I guess and surely the new logo looked fresh and up to date. I grew accustomed to the old logo as it felt closer to home and this I must let go, eventually. Check out their pastry spread! I have heard about the Brownie Thins from friends and I would have to try that out next time. I haven't really met Margie herself but she has been around the baking business for over 20 years now. Sharing this passion with her son Marcos Calo III and daughter Consuelo Agnella Calo to bring about her expertise in business. With their collective effort and a heart to share this to the locals, brought them to the spotlight. Homey and certainly a place you can come back to every now and then. They have cakes, cookies, cupcakes all baked fresh and ready for your prying eyes and hungry hearts. You can order in your favorite a day in advance to ensure that you get your fill. I never really planned out what I would bring back home after my visit in Butuan. The typical banana chips were blah and I knew I never wanted to bring back with me a replica of the Golden Tara anyway. But for some odd reason, I decided to head out to Margie's Kitchen. My flight is scheduled to leave in two hours so I had time to spare. Funny enough, going about the city made me feel like a tourist. I felt lost in my own city, melancholically nostalgic. Common streets, familiar sounds and sights. Yes, I am a Manilenya/Butuanon and honorary Cebuana. A good mix of the best cities in the country. Nothing beats the orange tricycles of Butuan. Yes, I missed you a lot. Caramel crunch, mocha buttercream frosting slathered in between moist cake is something one must be tasted to be believed. There are three things I love about Margie's Kitchen: Cookie Monster Cake, Nelusko Cake and the Basil Fries. Yes, they offer meals as well especially the branches in JC Aquino as well as the Robinsons branch. Tourists and locals who wish to bring home with them a cake or their fresh baked goods would need to visit the main branch as they do not have whole cakes available at the satellite shops. I decided to bring home with me the largest Nelusco Cake available. The challenge was to keep my sanity during the plane ride home while ensuring the cake is at it's pristine look. I think I did a great job at it! My team loved the cake so much that they wanted more.